Highly Motivated Sellers! Beautiful home in highly desirable Annandale neighborhood priced to sell! The front door opens to a two story entryway w/elegant dining room on the right that boasts crown molding, trim work & tray ceilings. 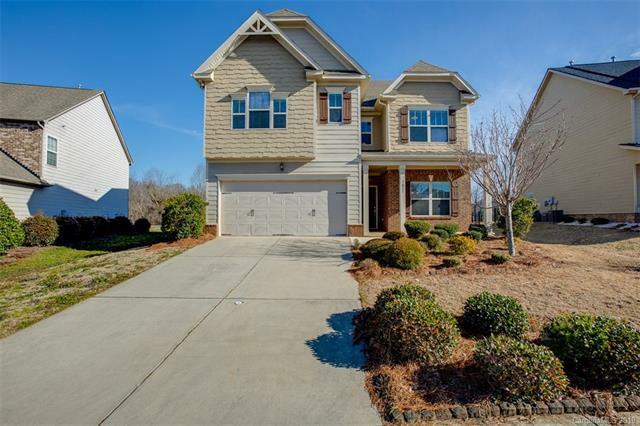 The large downstairs open floor plan features a gourmet kitchen equipped w/large island, granite counter tops, tile back splash, & ample cabinetry w/crown molding. Spacious living area w/gas fireplace & a downstairs bedroom w/full bath attached. Upstairs an incredible over sized master suite features access to a second story private deck overlooking the backyard. Impeccable master bath w/dual sinks, separate garden tub, step-in shower, & spacious walk-in closet. Three more sizable bedrooms upstairs & another full bathroom. The backyard is fully fenced, includes a covered patio & even a natural gas line that can be used for summer barbecues. Community amenities: pool, playground, tennis, basketball courts & dog park. Top Union County schools & New Bypass!